Just a short train ride from central London, the 1PUTT Esher course and après bar is our first ever venue and offers a never-seen-before social golf envrionment. 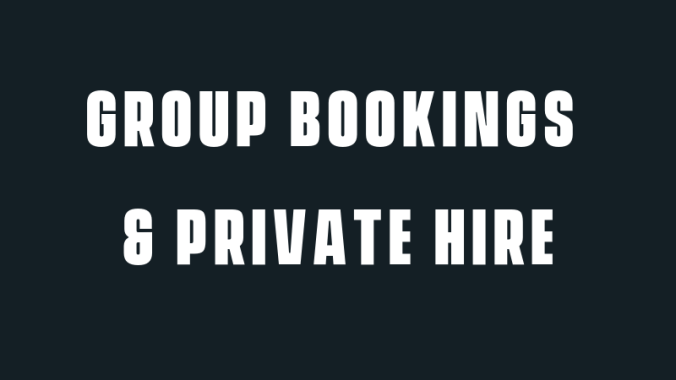 Available weekdays and weekend afternoons for Private Hire. 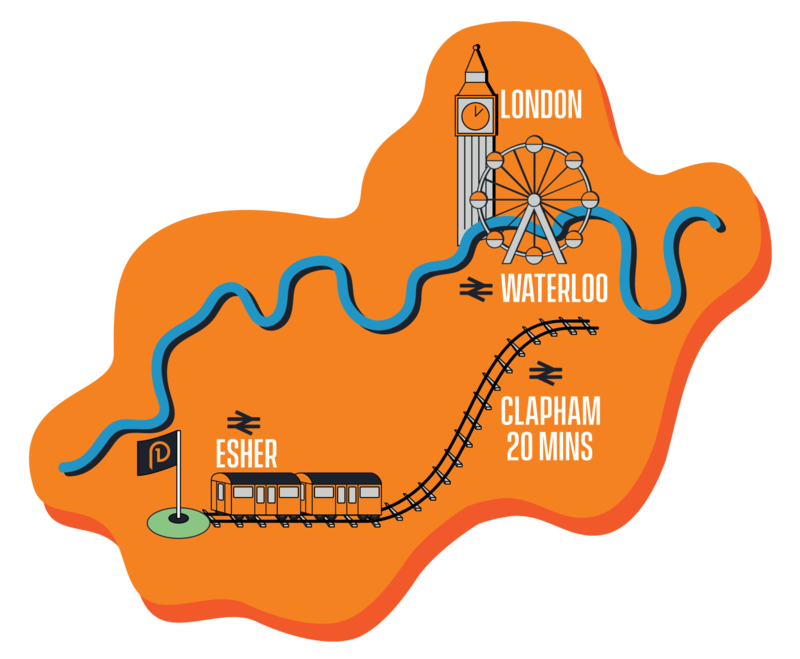 The venue entrance is located just 20 metres from Esher train station, accessible by a short, direct train from Clapham Junction or Waterloo. 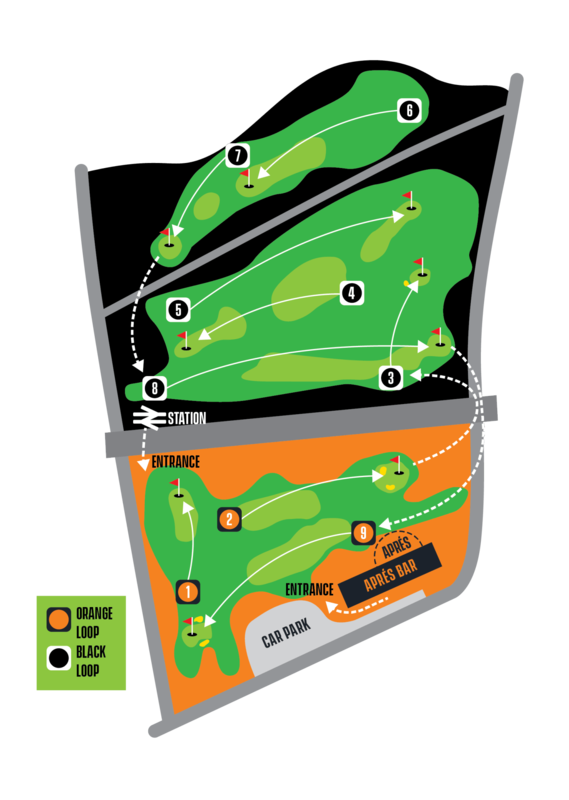 A mix of 9 fun and interesting holes, separated into the easier Orange loop and more difficult Black loop either side of the railway! 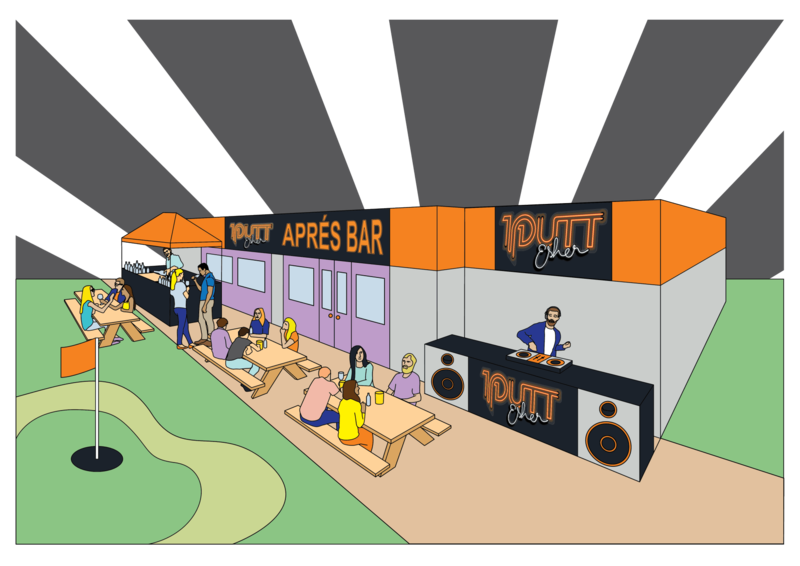 Positioned just before the final hole, the apres bar is the place to stop and refresh during, before and after your round as you watch players hit from the daunting 9th tee! Available for any size group. 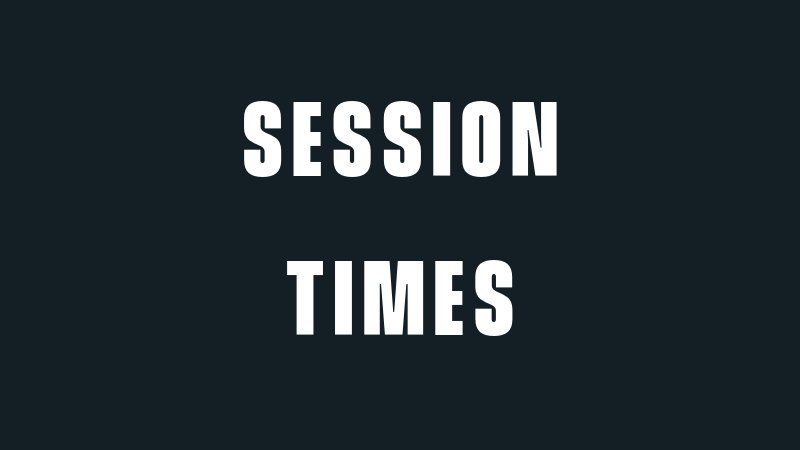 Make sure to check availability & book before you arrive!